think of is cheesecake. So I made cheesecake in Japanese style. than the New York cheesecake. Cook the milk in a sauce pan on low heat. 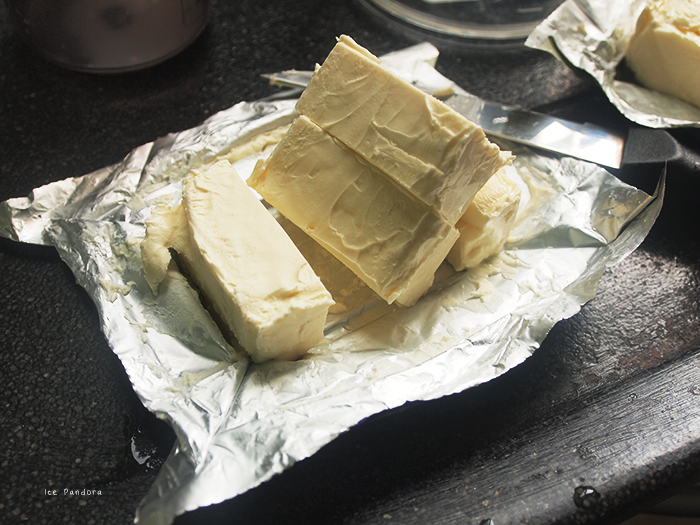 Cut the creamcheese bar into cubes and add it to the milk. Melt and combine! Beat egg yolk with the first tbsp. of sugar into pale and creamy. 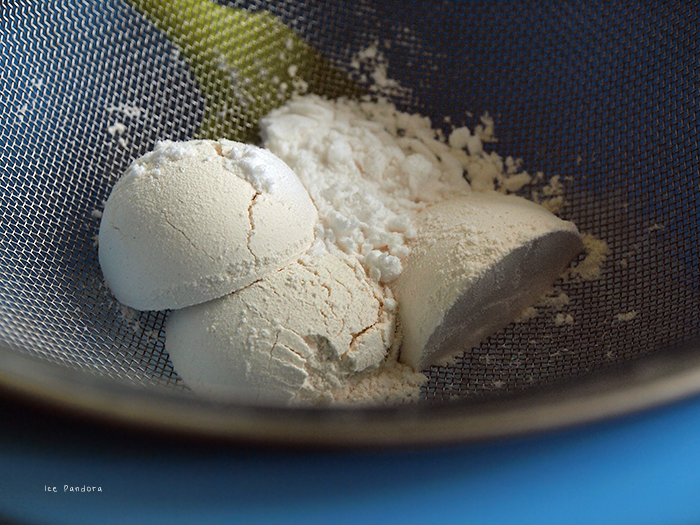 Then fold it in the sifted flours. Beat egg white until stiff. Add the 2nd and last tbsp. of sugar and beat the egg white stiff peaks. Fold the egg white gradually into the cheese mixture and combine well. Pour it into the cake tin. Prepare an 'au bain marie' (pour water half into a baking try). 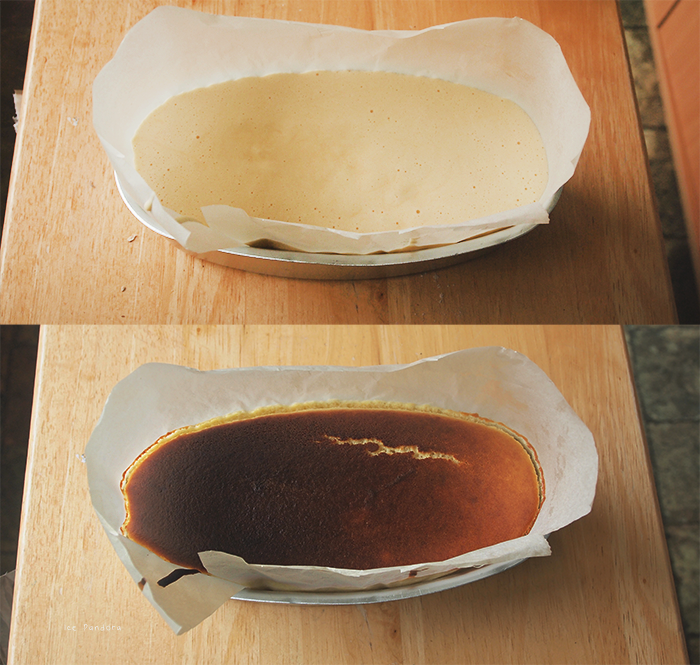 Bake the cheesecake for 20 minutes. 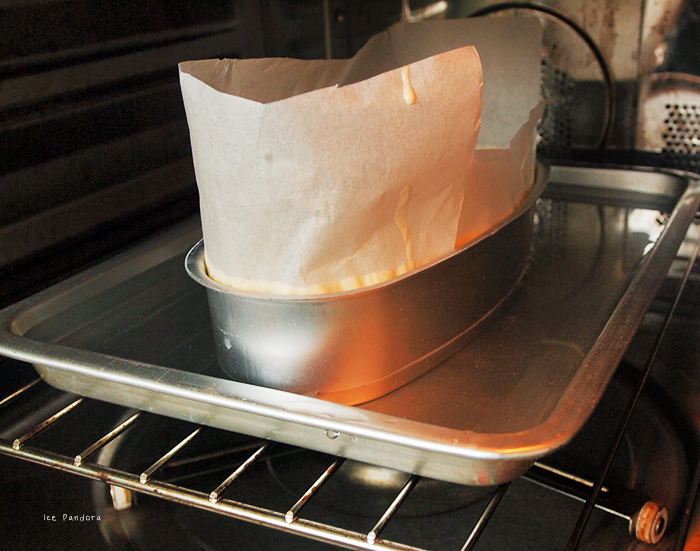 Reduce the oven to 160°C and bake for another 20 minutes. Let the cheesecake cool completely in the oven. 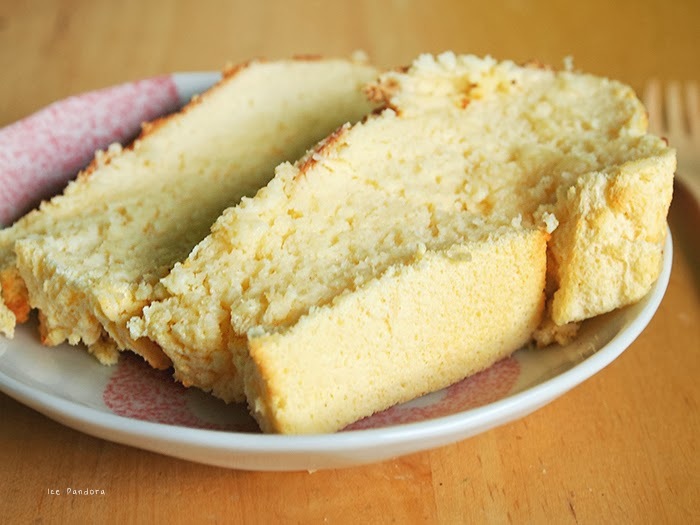 Wow, I really love how this recipe is simple, yet the result looks delicious! I'm going to try this out! Thanks Mei! 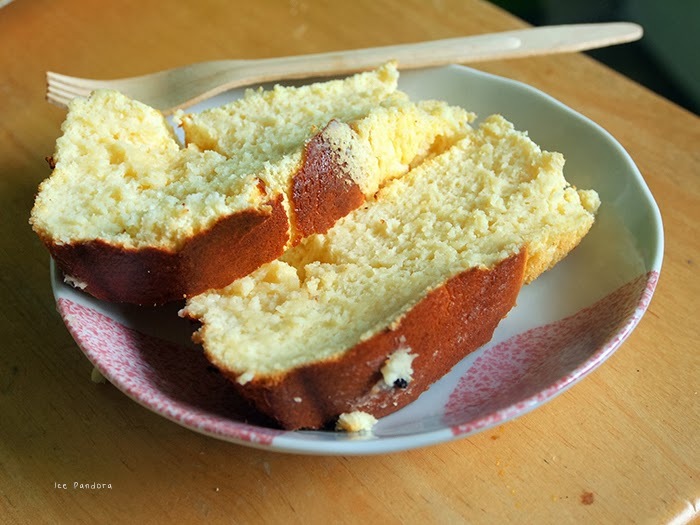 oh my Japanese Cheese cake is my most fav cake, def gonna try this recipe out this weekend. Ziet er echt heerlijk uit *_* en als iets wat ik ook wel zou kunnen maken haha. Nawm nawm nawm. I just made a cheesecake last night. Cookie dough flavour. So unhealthy. Lol. 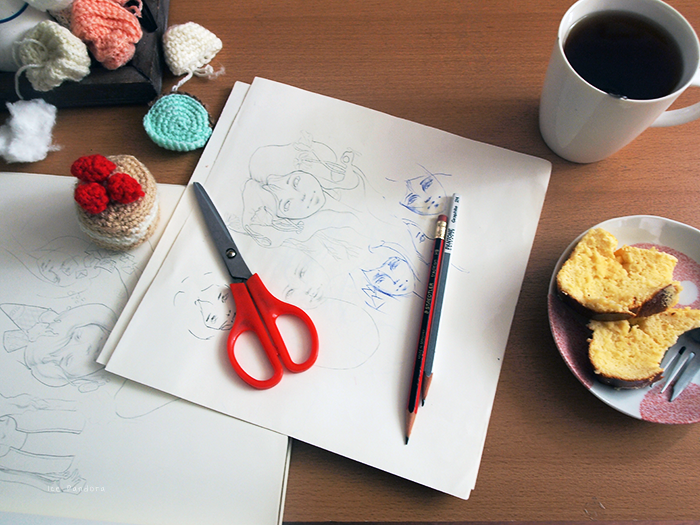 Ohh, those sketches are cute. Oh this is my favourite type of cheesecake - yum! I am such a fan of cheesecake, but I've never tried making it before - this looks absolutely delicious, Mei! omgggosh looks so good!! 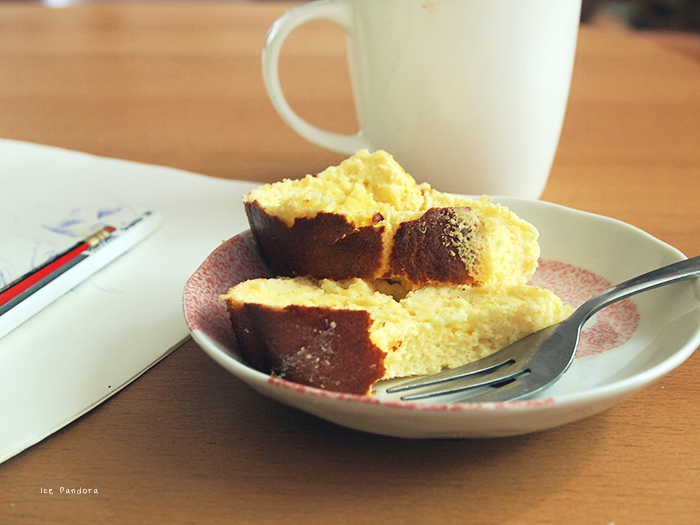 i much prefer japanese/asian style cheesecakes over US because it's so light, fluffy and not to sweet! yours looks like a true japanese style cheesecake.. i must try your recipe!!!! well, tried to pin it but couldn't :( anyway, hope to come across it again! Oooh can't wait to try this out!